The problem was that time was running out. Even though the new V8 engine was not yet ready, the new car was due to be officially presented to the press at Blenheim Palace on September 25th 1967 and to the public at the London Motor Show the following October. During tests in Le Mans a few months earlier the new V8 engine had broken down after only a few laps, forcing management to agree that it was still too early to put it into production. David Brown, who was keen not to delay the launch of his new car decided in the meantime to equip it with the already existing straight 6 cylinder engine. The problem was that the decision to abandon Touring’s Superleggera system and the larger heavier proportions of the DBS meant that the new car was not as fast as the DB6 which was still being produced alongside. In a bid to rectify the situation, a Vantage version of the DBS was available as a no-cost optional extra fitted with three double Weber carburettors in place of the basic SU’s. This increased the compression ratio to 9:4:1 and gave the more sporty Vantage increased horsepower of 325bhp as opposed to 282 in the basic version. The model sold particularly well in Europe compared to the United States where only the SU version was available due to strict anti-pollution norms in force at the time. 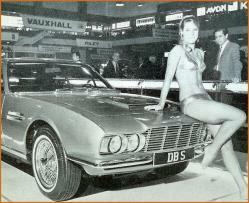 Like its predecessors, the DBS was produced with wire wheels replaced on the heavier DBS V8 by alloys. 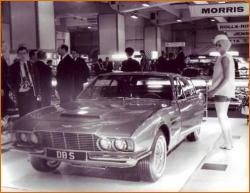 Despite the arrival of the DBS V8 in late 1969 production of DBS 6 cylinder version continued and the car, especially in Vantage version, continued to sell well not only up to May 1972 and the sale of Aston Martin but even as the re-baptised AM Vantage to July 1973. 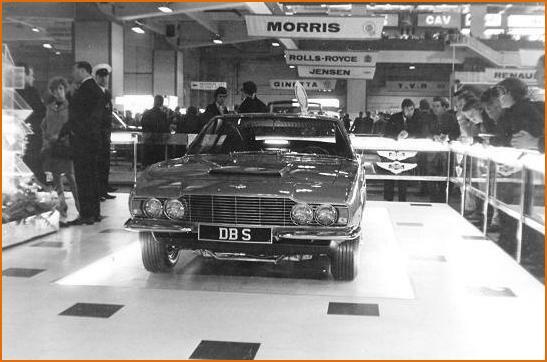 Following Aston Martin’s acquisition by Company Developments Ltd, the DBS V8 was also given a new name, becoming the AM V8 series 2, with the DBS V8 now being considered the series 1. William Towns’ original design went on to be produced in several different versions for a total of 22 years up to 1989.